After failing to impress in a goalless draw with Athletic Club at San Mames Barria on Matchday 23, Barcelona will be aiming to start a new winning run in La Liga when they host Real Valladolid at their Camp Nou on Saturday evening. The Catalan giants are now only six points clear of their bitter rivals Real Madrid in the La Liga standings, meaning that they are likely to go all guns blazing at La Pucela. Leo Messi has overcome his injury and all eyes will be on the Argentine superstar when the two teams face each other in Saturday’s football game. 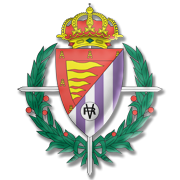 Real Valladolid are tough to beat at home, but seeing that their away record in the Spanish top flight is anything but good, the visitors are likely to return home empty-handed from the trip to Catalonia. In their last meeting at Camp Nou Barca crushed Real Valladolid 4-1. Jeison Murillo is a 24-year-old Colombian defender who plays for Inter Milan in Serie A. The centre back started in the youth teams of Deportivo Cali but made his senior professional bow with Udinese and Granada, as part of the partnership agreement between the clubs. He moved on a permanent basis to Granada in 2011 but spent most of his time on loans at fellow Spanish league clubs Cadiz and Las Palmas. His talent was there for everyone to see and soon he would end up moving to Inter Milan in 2015. Murillo made his international debut for Colombia in 2014. He was also a member of the 2015 Copa America squad and scored his solitary goal in national colors against Brazil. He would go on to win the “Best Young Player” of the tournament. 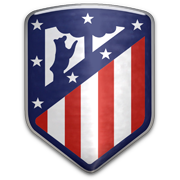 Murillo is a hard-tackling no-nonsense centre back and is regarded as a ball-playing defender, which is almost a rarity in world football.